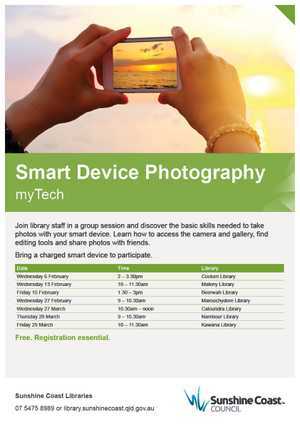 Join library staff in a group session and discover the basic skills needed to take photos with your smart device. Learn how to access the camera and gallery, find editing tools and share photos with friends. Bring a charged smart device to participate.